Enjoying the small New England Victorian-era “boutique” style resort at Neptune House is a great way to make memories with family and friends. A scenic one-hour ferry ride from the resort to Rhode Island and Connecticut coasts allows you to enjoy viewing lighthouses, Victorian architecture, shopping, and seafood. While hanging out at the resort you will also enjoy bird watching, fishing and boating, and nearby golf courses. 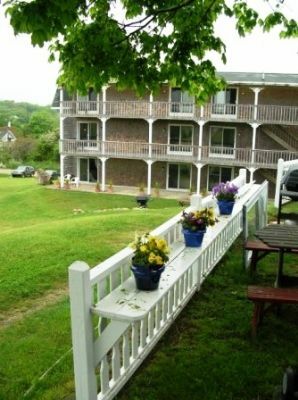 These Block Island timeshares for sale offer studio, one and two bedroom units at Neptune House. These units will sleep from two to six people and include all linens and beach towels. Full kitchens with utensils, stove, and full-size refrigerator make these condos a true vacation home. 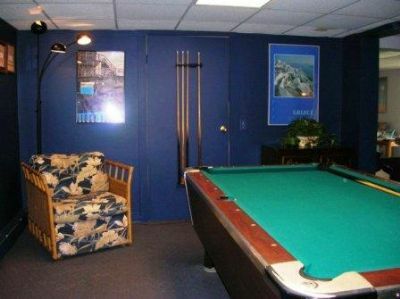 Guests will also enjoy cable television and free Wi-Fi while relaxing in the living room on comfortable furniture. This two-story building does not offer elevators and walking up and down stairs may be necessary. Enjoying the weather while taking advantage of the gas BBQ grills and picnic tables is a great way to relax and enjoy time with family. 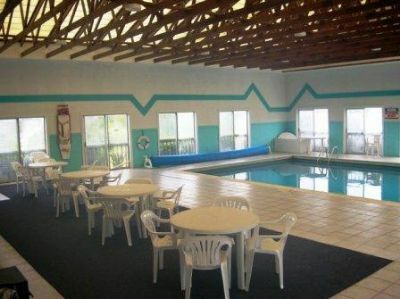 On-site amenities at Neptune House include an outdoor tennis court, game room with pool table, library with a variety of reading material, and an outdoor heated swimming pool. Most guests enjoy admiring the views from their unit and planning activities for the day. This amazing Block Island timeshare resort also offers hiking and biking trails, horseback riding, fishing and boating, and kayaking. When visiting the area, make sure to check out the two lighthouses, amazing seafood, and boutique shopping. Spending the day with family creating memories and taking pictures of the amazing views will allow you to remember this vacation for a lifetime. Vacationing in New England is a perfect getaway. Traveling during the Fall season allows for beautiful views of changing leaves and summertime is perfect for outdoor and water activities. Scheduling a tee-time at one of the golf courses is a great way to start the day and shopping in town offers a variety of quaint boutiques. 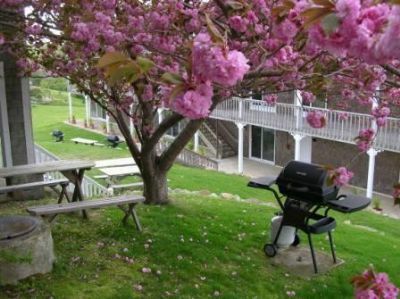 Block Island timeshares for sale make spending time with family and friends convenient and affordable. Staying in a Victorian style condo allows you to experience history and beautiful architecture while enjoying all the requisite comforts. Contact Neptune House Specialist Today!